Salem Structures, LLC specializes in storage sheds and small residential buildings and property upgrades. 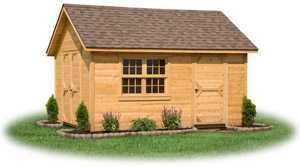 We have storage sheds for sale in many styles and colors, and nearly all common sizes. 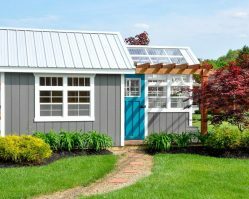 From the most basic sheds for lawn tools, to our Premier line of “Carriage Houses” and everything in between, we can get you the style you need to match your home. You can also choose from unpainted wood finishes, painted in your colors, or vinyl sided and DELIVERED. Our storage sheds begin with the smallest 6’ x 6’ Mini Barns that have 44”side walls and a 36” single door with a price around $1,000 and run in size up to 14’ x 40’ with up to 7’-5” side walls. They are available with up to six types of siding and a wide range of colors for siding and roofing. The buildings are delivered fully assembled with free delivery within 20 miles. There is a small mileage fee charged for over 20 miles. A variety of options are available on most models.. If you don’t see what you’re looking for on our website, please don’t hesitate to call us at (330) 332-9940 for a free quote on any size or style of building you have in mind.